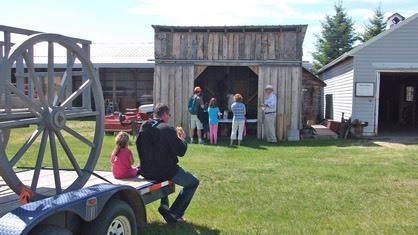 This building was originally a three sided shed built by museum volunteers in 2005 to use as a blacksmith shop. In 2009, the walls were completely sided in and doors were built so that the full collection of blacksmith tools and artifacts could be put on display and protected from the weather. 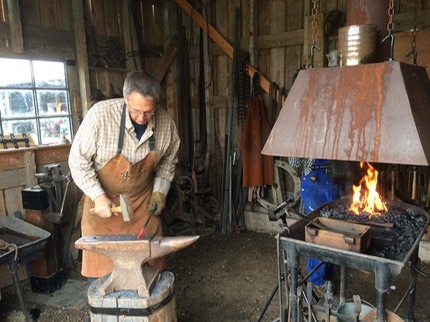 During Farmer’s Days, City Slickers, and Harvest Festival we have a blacksmith come and do live demonstrations of his craft.